Eleven days is a very straight forward and simple story of a boy looking for his elder brother. However, the journey takes the audience in to a maze of unexpected experiences through a variety of characters and landscape. Perth based filmmaker Jaginder Singh has finished his most recent project, a film named Eleven Days which has already won many accolades prior to its release. Eleven days follows the journey of a 12-year-old Sikh boy Ajit Singh in outback Australia, who is searching for his brother Rajveer Singh. Even though the movie has not been released yet, it has already won many awards including the 2015 Nashville Film Festival – Best Feature Screenplay in the family Film category, the 2014 Hollywood Screenplay competition and the River Scroll Award. 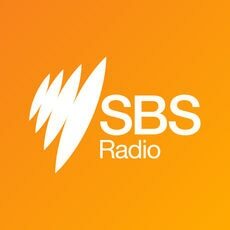 In conversation with SBS Punjabi, Jaginder Singh mentions that the film is based on real events from his life and is inspired by his experiences in Australia. “Ajit is in every one of us. He is me when I was searching out for a safe harbor after my father passed away when I was 15. He is the girl perplexed and defiant towards sexism. He is the boy questioning senseless customs and beliefs”. The movie was filmed in Perth and the surrounding areas as he thought that, “the landscape perfectly captured the spirit of the movie”. He also wanted to highlight the multi culturalism of Australia in Western Australia which, according to him, is often not reflected in mainstream media. The movie depicts the racism that is felt by many who come to start a new life in Australia especially people who may have a distinctive identity, for example, wearing a beard and a turban. It, however, is not only limited to one aspect of life in Australia. It also talks about the stolen generation of Australia among other things. The movie is predominantly in English but also features English and Aboriginal language. “I wanted to present a true picture to the audience, how people would have spoken in their houses in reality”, he said. The film premiers on 10th December, 2017 in Perth at 6:30pm at Luna. His crimes were discovered in 2013 when he was extradited to New Zealand. The movie Padmavati has been marred with controversy for a long time. A software engineer from India has claimed a strip of 800 square miles of land between Egypt and Sudan and declared himself the king.